Rassolnik — is a soup that is part of Russian cuisine made from pickled cucumbers, pearl barley and pork or beef kidneys. 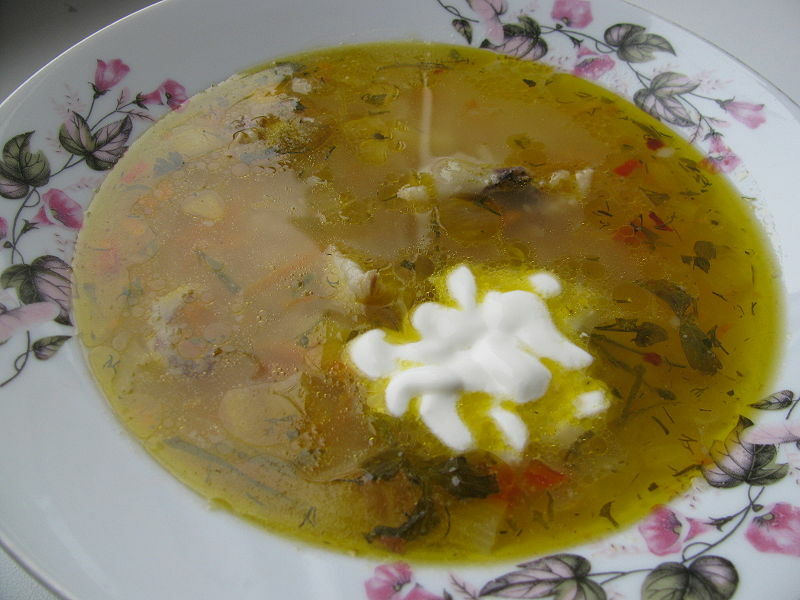 A vegetarian variant of rassolnik also exists. Left: Rassolnik with meat and rice.